The Hard Rock Hotel & Casino at Fire Muntain will be a $440 million Indian casino located in Yuba County just north of the Toyota Amphitheatre. The distance is 35 miles north of Sacramento and 10 miles south of Marysville. 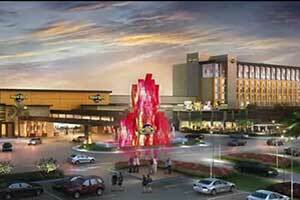 Hard Rock Fire Mountain Casino will be built on a 40-acre site on 40 Mile Road in Yuba County. This location is in the southern end of ancestral lands which lie between the south and north forks of the Feather River. It is a 30-minute drive from Sacramento International Airport (SMF) and also 30 minutes north of Thunder Valley Casino. The construction crew building the new Hard Rock Casino near Sacramento today placed the final steel beam atop the Hard Rock Hotel structure. The event was followed by a "topping off" ceremony. Full Story. The final artist rendering of the Hard Rock Hotel & Casino Sacramento at Fire Mountain was published today, the same day the final construction beam was placed into position on top fo the hotel. It has been a long and difficult road over 17 years for the Estom Yumeka Maidu of the Enterprise Rancheria to see their dreams of a tribal casino become a reality. The Grand Opening will be this Fall 2019. The tribe had an earlier plan to build gaming and entertainment resort that included a casino, a 170-room hotel & pool, restaurants and bars, gift shops, and conference facilities. The plan became stalled after strong litigation and opposition from neighboring Indian tribes. 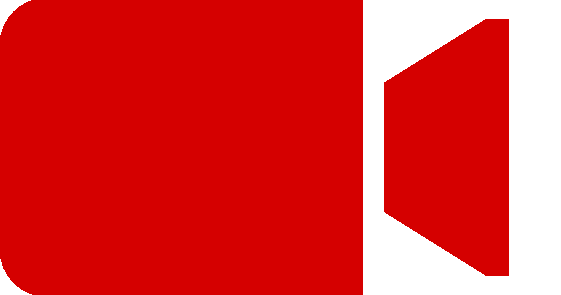 As a result the project was cancelled. In September 2015 a new plan was announced that downsized the project from a a Class III casino to a Class II casino. 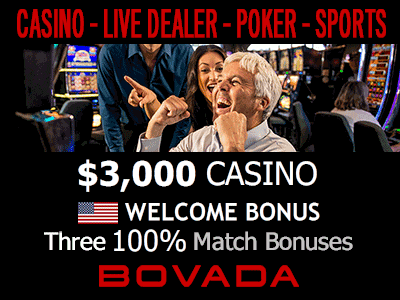 Class III Indian gaming is sometimes referred to as Vegas-style and is played against the house. Class II Indian gaming is played exclusively against other players and not the house. It does not require the tribe to get local or state government approval. However, in February 2016 U.S. District Judge Troy Nunley ordered California to enter into a Class III gambling compact with the tribe. A compact was negotiated and signed by the governor followed by approval by the U.S. Department of Interior. This allowed construction to finally proceed. However, the United Auburn Indian Community which owns Thunder Valley Casino Resort sued to stop construction of this casino which is 20 miles from Thunder Valley Casino. This lawsuit was rejected by the California appeals court on October 13, 2016. Two weeks later the United Auburn Indian Community filed an appeal in California's 3rd District Court. As a result all construction was ordered suspended. In early 2018, a federal appeals court agreed with the tribe and ended the legal battle. Soon afterwards a branding partnership was signed with Hard Rock International and the casino was renamed Hard Rock Hotel & Casino Sacramento at Fire Mountain. Construction resumed in the second half of 2018. It will be completed in the Fall of 2018. 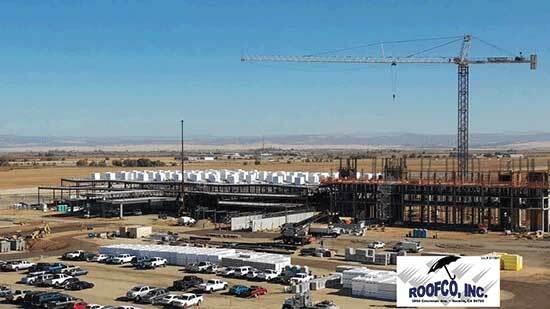 The construction crew building the new Hard Rock Casino near Sacramento today placed the final steel beam atop the Hard Rock Hotel structure. As the crane raised the beam towards its final position, a tribal drumming ceremony began in a tent near the casino entrance. Officials who attended the event represented the Enterprise Rancheria, Hard Rock International, the Seminole Tribe of Florida, owners of the Seminole Hard Rock Casinos in Tampa and Hollywood, Florida. Mark Birtha, president of Hard Rock Hotel & Casino Sacramento, told the atendees: "Today is a recognition of the vision, discipline, and the hard work of the Enterprise Rancheria tribe and their decades of focus and passion. It's about reclaiming lands, rebuilding lives and reinvesting in the local economy to create jobs and growth. And today, we are that much closer to bringing to life the premier entertainment experience right here in the Sports and Entertainment Zone." Glenda Nelson, the tribe's chairperson, addressed the attendees: "We have worked diligently over the past 17 years to reestablish a land base within our aboriginal area to conduct meaningful economic development for our citizens and for our community. Along the way we never lost hope, we never lost our vision of who we were and where we were going, and we never lost faith that eventually truth, fairness and justice would prevail. Today's milestone affirms that hope, vision and faith." On Wednesday an announcement was made by Hard Rock International that Mark Birtha has been selected for the Yuba County resort and casino president. The project is a partnership with the Enterprise Rancheria. 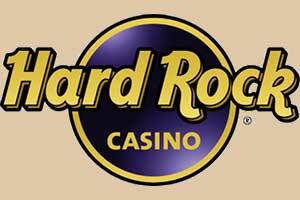 Birtha has worked at Ohio's Hard Rock Rocksino Northfield. He has been in the gaming and hospitality industry for 25 years. Construction had started several months ago at the Hard Rock Hotel & Casino Sacramento at Fire Mountain. It is located near the Toyota Amphitheatre. 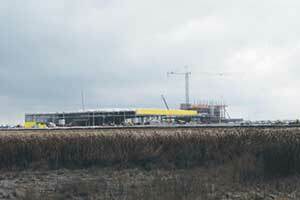 The gaming venue is being built on 40 acres. When completed the casino will offer Class III gaming. There will be space for meetings and banquets. Dining options include a high end restaurant, buffet, and bar. There will also be a hotel offering 152 guest rooms and 2,750 parking spaces. The tribe is hopeful to have the project completed within 15 months. Will new Fire Mountain Casino rebrand as Hard Rock? Plans are being made to develop a Hard Rock & Casino in Yuba County. 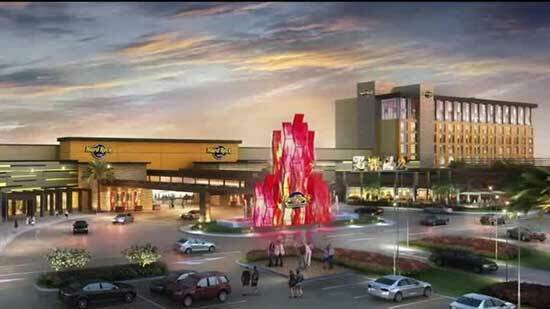 The casino will be owned by the Estom Yumeka Maidu Tribe of Oroville's Enterprise Rancheria. The construction will be financed by a bond worth $440 million in collateral backing. In addition to the $440 million bond, the tribe will also obtain a loan for $12 million. The money will be used for construction development, and place funds in an interest reserve. The money will also pay for cost at the grand opening. Such as supplying the cage cash. Also, to cover expenses and fees from fund transactions. Plans for a partnership with Hard Rock International have not been officially released as of yet. However, a recent report released by S&P Global revealed the partnership between the tribe and Hard Rock International. Progress is being made by the tribe to put everything in place before construction begins. It is expected that the official announcement will be made soon. Land was bought in Yuba County many years ago by the tribe. The purchase was made that that they could build a casino in the future. The 40 acre property is located near the amphitheater along Forty Mile Road. The original plan was for a casino resort to be named Fire Mountain Casino. The proposed casino has had legal opposition in the past. Recently a federal appeals court sided with the tribe. The legal battle had stopped construction on the casino project in 2016. Grading for the property is expected to begin again in June. The tribe is hopeful that the casino will be completed by the end of next year.